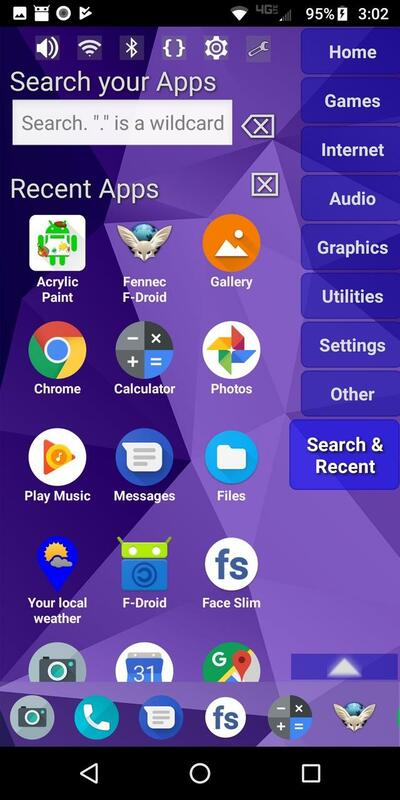 Highly configurable alternative homescreen/launcher which features a side menu to automatically and/or manually organize your apps into common-sense and customizable categories. 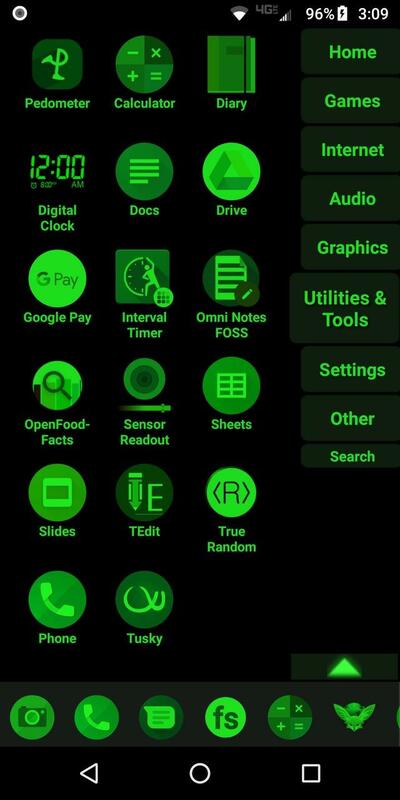 Latest features: Resizable widgets, hideable menu, action menus, appinfo, better appearance, animated transitions, and an experimental "dumbphone" mode. 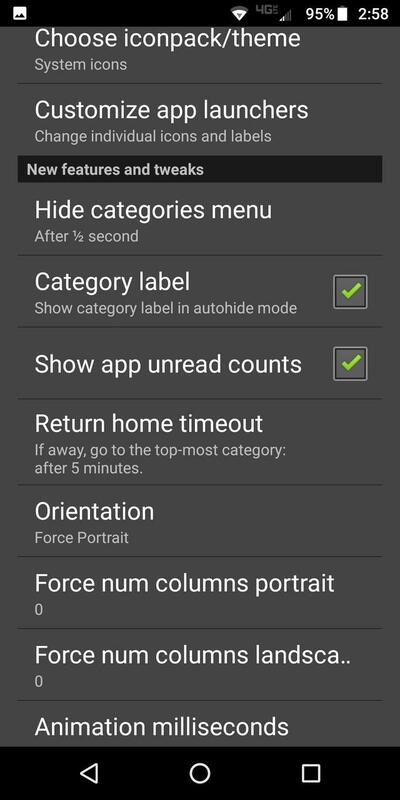 * Configurable app categories in a scrollable/hideable side menu. 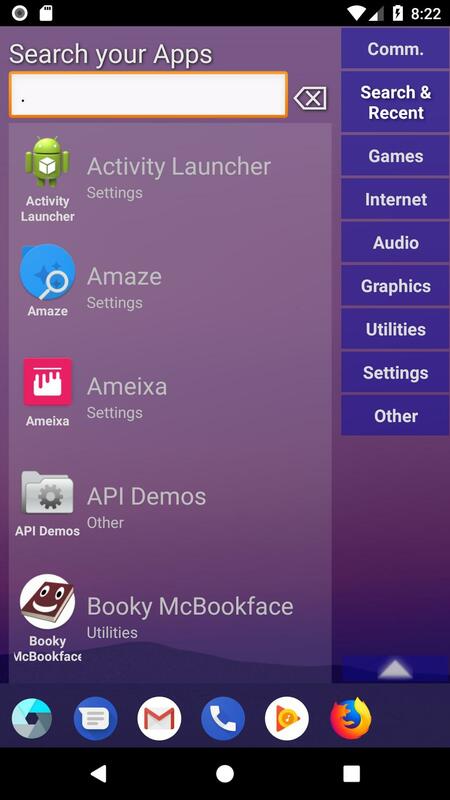 * Scrolling QuickBar on the bottom for easy access to your favorite apps. * Text search to find apps. * List of recent apps. * Quick access to settings. 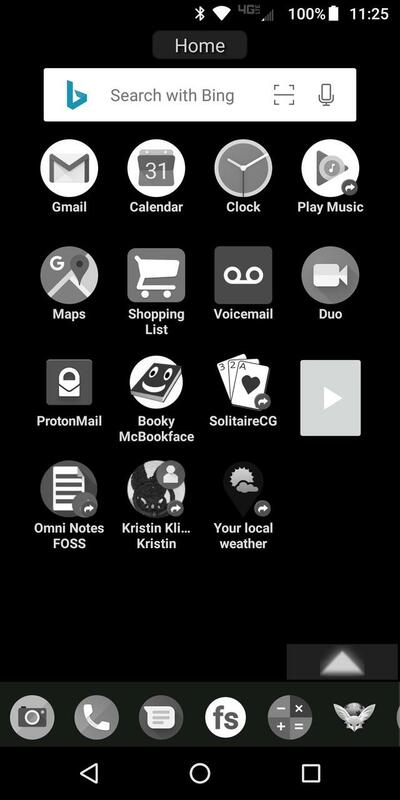 * Rearrange/sort icons and menu items. 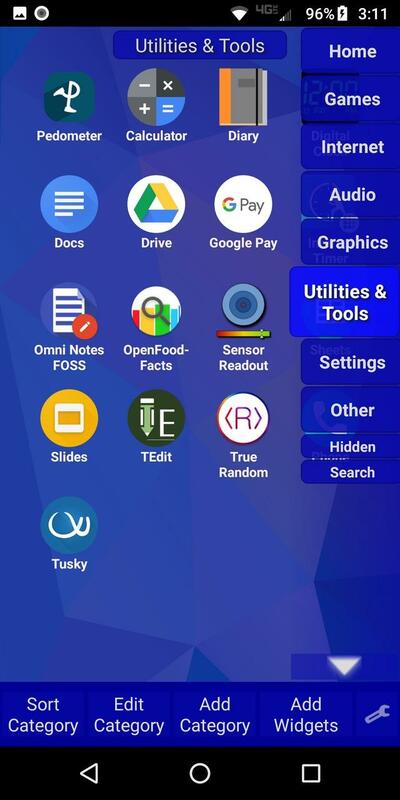 * Shortcut/link and Oreo Pinned shortcut support. 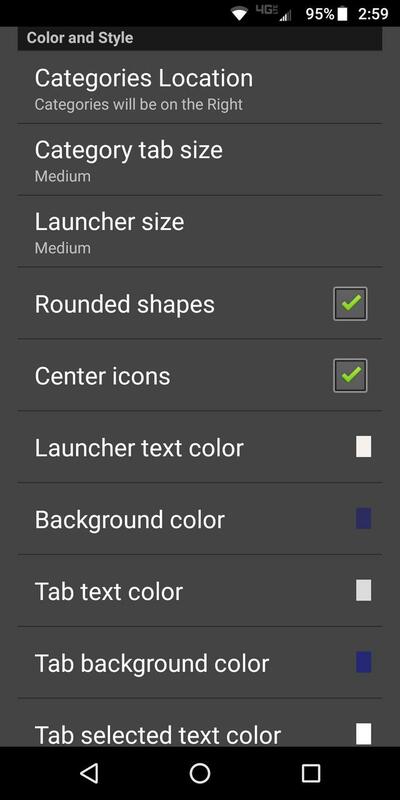 * Android 7.1+ shortcut actions / menus. * Supports both portrait and landscape mode. 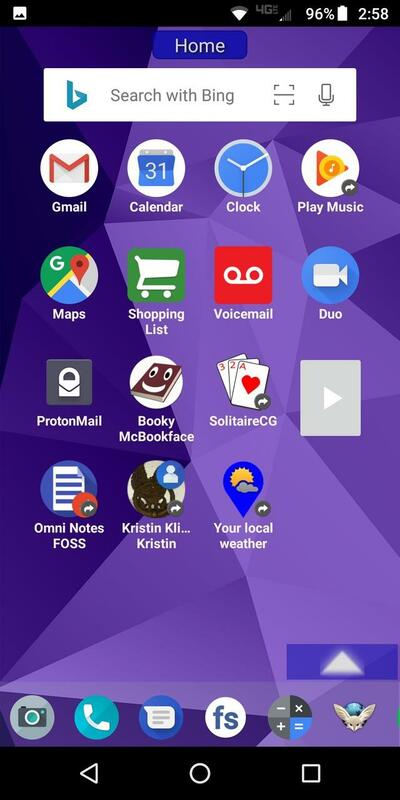 * Can hide apps you don't want but can't uninstall. * Back up and restore your settings. * Customize icons and labels.